Chloe was provided a promotianal The days are getting shorter which means there is less time for you and your dog to play outside after work. Well maybe there is with this new line of Chuckit LIGHTPLAY toys. Outside of the cooler temps you no longer have the it’s too dark excuse. The innovative line of durable, high-visibility, glow-in-the-dark toys features 3D print fabric and fast-charging Max Glow rubber that charges under a bright light (including light from a cell phone!) in less than 10 minutes for up to 30 minutes of early morning or nighttime play. Catering to the “start early, play late” lifestyle so many pet parents are taking on due to work and family commitments, LIGHTPLAY is designed to encourage play after the sun goes down, when most people are home from work and have time to play with their pup. Chloe did not have much interest in the Kick and Fetch but she would have more as a puppy. This is her first ChuckIt dog toy and she wanted to show it off. 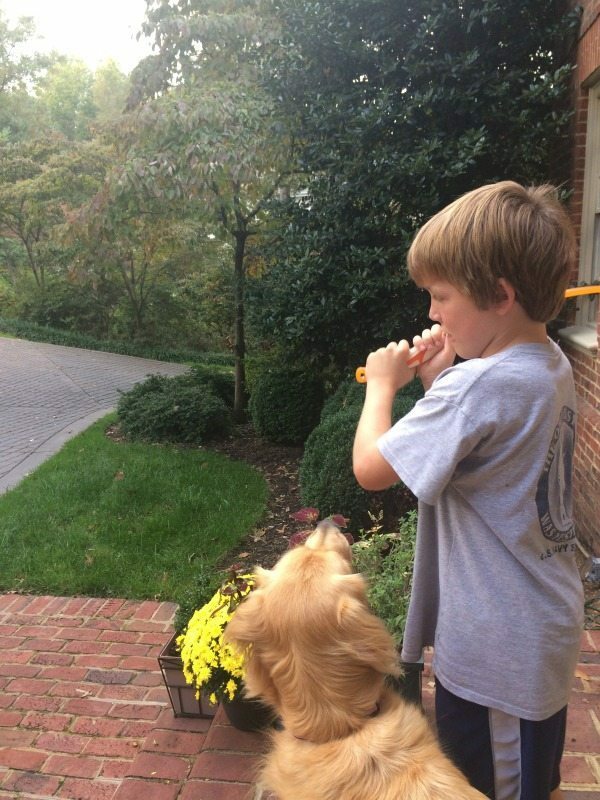 What a great way to play fetch with your dog. She is interested in what her boy is going to do with this new bright ball. Which is also good for getting thrown into the bushes. One lucky reader will have a chance to win both of these toys. Simply enter to Rafflecopter below. I am trying to win this for our miniature schnauzer, Bear! Oh I would love to win for the 3 labs we rescued! 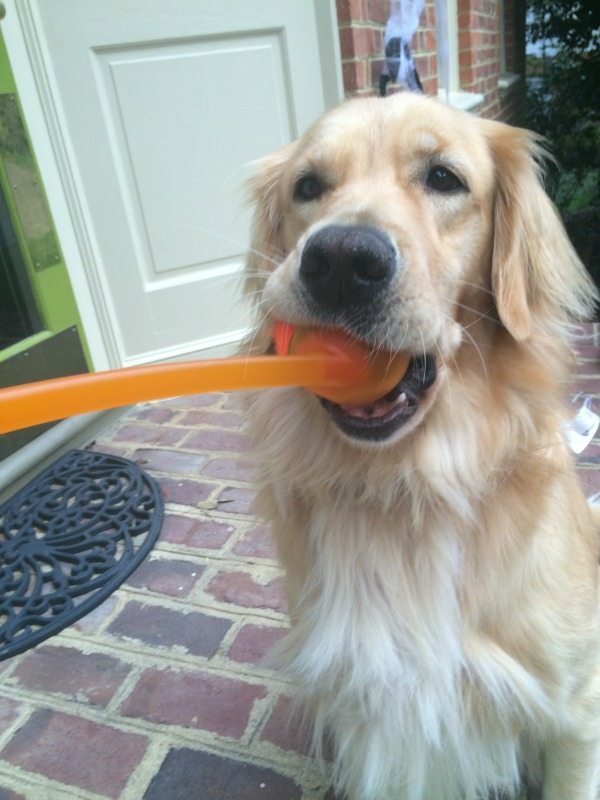 They love to play ball and catch frisbees….but with it getting dark so early….this would be perfect!! I am hoping to win this prize for my pug baby, Nibbles. I would be winning the prize for my 2 dogs, Louie who is a Corgi, and for Dutch who is a Labor doodle. They both love to play and chase the ball. This would be for my friend’s big, active dog. I Would Like To Win This For Riley! My Sister’s Dachshund Who Just Loves To Play With All The Kids!!!! I Would Like to Win These For My Younger Sister and Her Grandkids To Play With Her Dachshund!!!!! I’d like to win this for my little rat terrier. She is full of boundless energy, and I know she would love these toys. My Dog’s Simon, Rascal And Zoey Would Love This! Any of my 4 fur-children would love these! My kids would like to have this with our dog. I am winning this prize for my son and his friends! They would love to play with this stuff on the dark nights ahead and we could pretend we live in the future with no lights and only the glow toys to light the way! These toys look like lots of fun for dogs! My little dog would love them! Of course I am trying to win this prize for my doggie dog 🙂 She would love them! What cute toys! Looks awesome for the dogs! My baby would have much fun with the ChuckLit toys. I am entering for Kingers my 11 year old Black Lab. He loves to play with toys. Oh my goodness, my dogs would love this! Not to mention that my kids would probably have extra fun playing with them with these, LOL. LOVE The last photo – so cute. 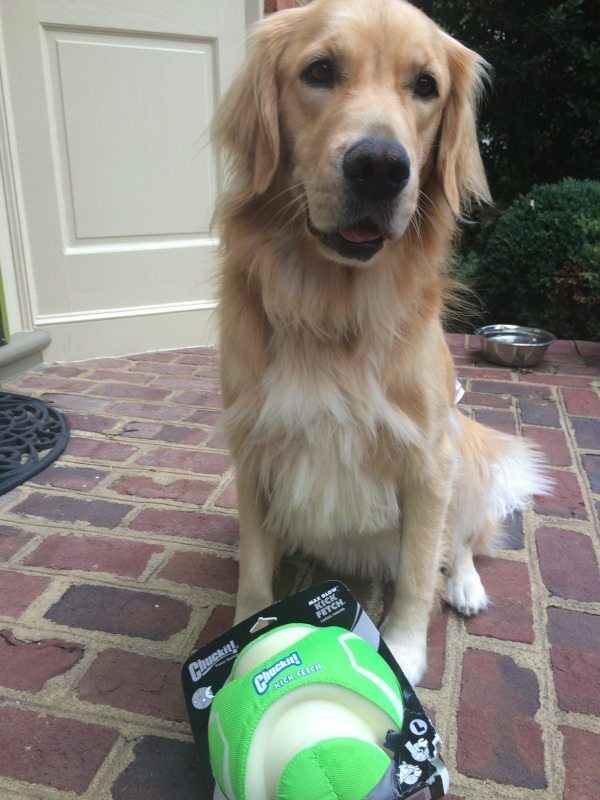 Your dog looks like he loves these toys! Our dog Buddy would love these – they would be perfect to take camping with us and let us all have some fun! These are neat! Our foster dog, Minnie, would love to play with these. My kids would have fun with when they play with our friends dog. My dog, Milo, would have a field day with those toys. He loves that kind of stuff.